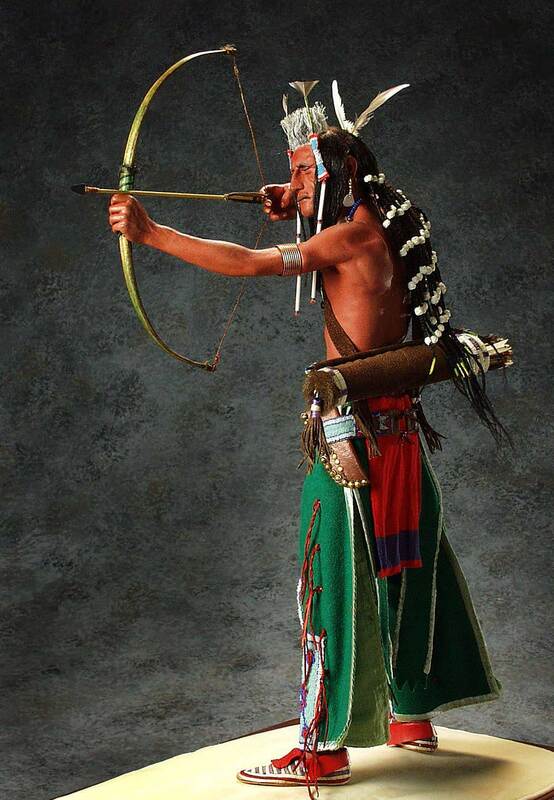 Although long barreled guns had become the weapon of choice for most Indian nations, the Crow were especially proud of their skills with traditional bow and arrow. 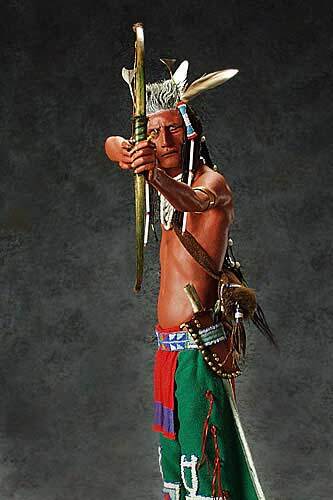 This man is obviously in ceremonial dress and demonstrating his marksmanship along with other young men of his tribe. 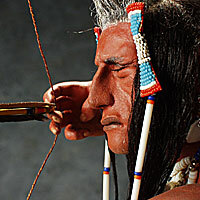 The arrow always reached its target, while the bullet often went wide. 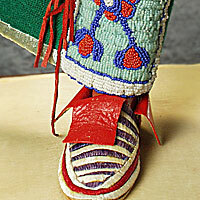 The Crow nation was dominant in the northeastern slopes of the Rockies and westward into the mountains of Montana.